Seeing loud and energetic pieces pull up on gleaming metal trains is a rare sight in the US nowadays. 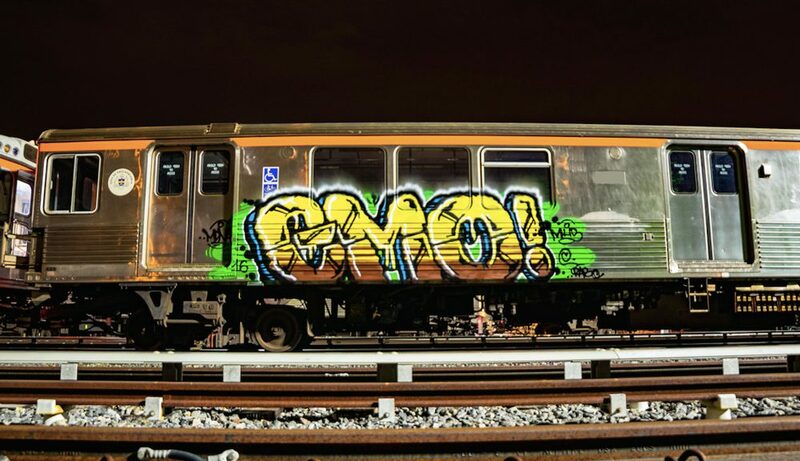 While painting trains is a concept born in The Bronx, these days it’s more ubiquitous in Europe and other countries outside the States. There are some heads still putting in low-key work here in the States, but most writers keep their flicks close and away from prying public eyes, since laws can be draconian and repercussions severe. Occasionally people post their own work online, but generally the scene is kept pretty quiet.